2 Bedroom End of Terrace House For Sale in Huntingdon for £235,000. 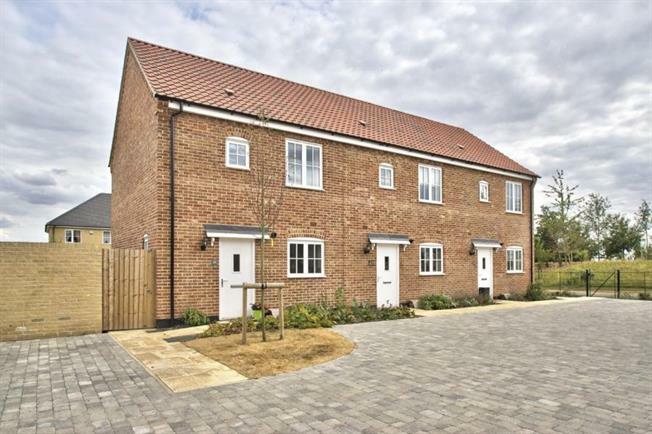 Taylors Estate Agents are delighted of offer for sale a two bedroom end of terrace home within the popular new build development Alconbury Weald. The property which was built in 2016 (The Ely) comprises of entrance hall, WC, kitchen, lounge diner, two bedrooms (master with built in wardrobe) and three piece family bathroom. Outside the property boasts enclosed rear garden mainly laid to lawn with patio and allocated parking space.